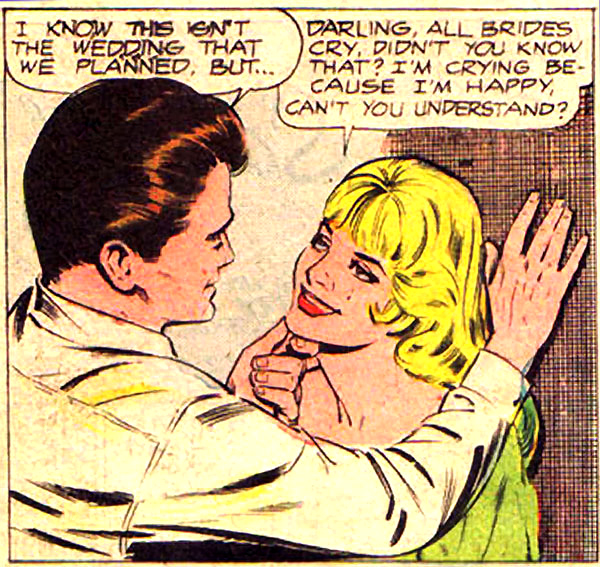 Art by Oscar Novelle in JUST MARRIED #56, 1968. 1968, eh? She looks stoned. Although my memory of that time is that the wild ride of love/lust did make make me act stupidly. I think love and lust potentially can make anyone act stupidly. Well, not me, of course. But anyone else.